Grids are suddenly everywhere – in music control, but also in visuals and art. And they’re lighting up in RGB. But Bhoreal promises to do some things other grids aren’t. 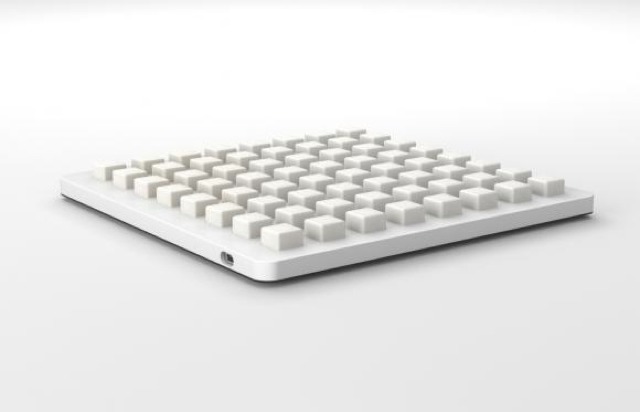 Whereas the monome is a truly beautiful, handmade and rare object, its rarity – by design – means it’s hard to get. And readily-available commercial products aren’t open source, and while they fit certain needs elegantly, they’re designed to stick to those needs rather than allow easy modification. Bhoreal is this kind of blank-slate, do-anything colored grid you can turn into whatever you imagine. It isn’t the first open source grid project, but it appears to be aiming to be the first for a bigger audience. (If it seems like the Arduinome, that’s because it’s built on that project – but expands its goals and implementation.) Products are planned in kit form, but also in a slim, ready-made model – and ready-made doesn’t mean closed to modification. And best of all, that same slim model is wireless and battery-powered, so you aren’t tethered to a surface. Serial, OSC, MIDI, for mapping to whatever you like (sequencers to instruments to game interfaces to displays and visuals). Software for Windows, Mac, Linux. Kits come with circuit boards and parts you need for assembly. Minikit: 16 pads, DIY kit, low cost. Kit: 64 pads, DIY. Adds base/cover enclosure. 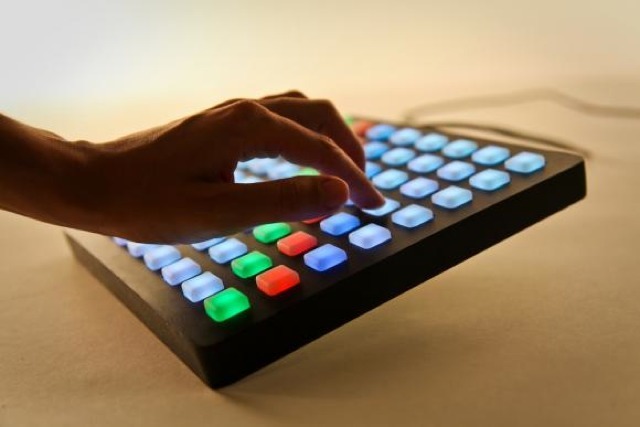 Slim: ready-to-play, pre-assembled 64 pads. Thin enclosure, all on one PCB. Slim Pro: Wireless OSC communication over WiFi, high-capacity lithium battery – use it and move around. Some significant design work is clearly already there; the crowd funding campaign aims at more production and an entire Web platform and documentation and community around the project. Also in the works: apps for Android, iOS, and an app SDK. It’s worth saying they’re not just looking for money – though the money rewards are fairly significant. They’re also looking for collaborators on some of the new ideas. Alex Posada: engineer at Hangar Interaction Lab, Faculty at IAAC and founder of MID. Miguel Angel de Heras: engineer at MID and Hangar Interaction Lab. Enrique Leonardo Perotti: industrial designer and co-founder of Manifiesto Studio. Aitor Aloa: designer and AV integrator, founder of Reflexiona. Susanna Garcia: creative producer, co-founder of Mind the film.